Legend has it, that long ago, long before there was even talk about villages and clans, there was only chaos and it was amidst that chaos, that the rabbit princess, seized the opportunity to become a goddess. Her sons as well, turned into legends revered as gods, but they were not the only ones that walked the earth with powers beyond the imagination of the normal humans. In that time, the time that the tailed beasts were created and the sage of the six paths vanished, leaving his legacy in the form of the so-called Era of warring states, in the nation of fire, a man appeared unlike any other seen before or after him. A man with white scales instead of human skin, with glistening golden snake-eyes instead of normal human ones and with beautiful black hair, only matched in darkness by the feathers of a raven's wing. Unlike the shinobi and warriors of that time, he did not wield the chakra as we know it, but used the power of nature, to be commanded at his will. Nature energy or sage chakra was his and he changed everything. He gathered followers, teached them his skills, granted them the knowledge of the sacred powers of the Snake and in time started a clan later known as the Ouroboros. Revered as a god, this man was the product of a mere man being blessed by the Great White Snake, taking for himself the powers of the Ryuchi Cave, granting himself powers that equalled that of the Sage of the Six paths and the title Dragon of the Earth. As time passed, the reality became history, history became ancient times and those became legends, but in the very bowels of the Ouoroboros' most hidden vault, deep within the compound, safeguarded by the Hebi family elders, a scroll depicted the lessons and the powers of the Dragon of Earth, a message which would allow one to yet again harness the true powers of a snake sage, the powers of the dragon itself. Inside the shadows of the night, a lone figure sneaked across the balcony of the center temple of the Hebi family's elders, hidden from prying eyes. For a mere instant, the image of a young, masked shinobi, became visible in the pale light of the full moon of that night. A young masked woman with long, beautiful black hair and fair white skin. She had tried to find the scroll, desiring the power that it was supposed to grant, for the treathening presence of an incomprehensible power was looming over the horizon, the threat of a war never seen before. She had been drowned by her obsession, the search for the one who rules the shadows of the shinobi world, the one responsible for everything which could turn the entire world upside down. A friend had warned her about the man she knew as her uncle, a lover had secretly tried to keep her away from him and a sister in heart had recognized the darkness that started spreading not only in Konoha, but the entire shinobi world. And she had found the truth, that one could only stand against such darkness when being strong enough. She had been manipulated, steered and controlled. Everything she had acomplished was a lie and everything she thought to know became a disillusion, but the fact remained, that the only way for Lamya to rise above everything she had feared, was to consolidate a power that had been looming within her for so long, the power to harness the force of the Dragon and to surpass the Snake itself. Crawling down the walls, Lamya tried to be as careful and as silent as possible, with only the wind being heard as she slipped through a small vent near the ground, which lead to the large building’s cellars. After she had managed to crawl out of the hiding space to which it connected, she found herself standing in a torchlit corridor which seemed to stretch out endlessly. Somewhere down there, there should’ve been the secret she sought after, the sacred scroll of the Dragon, which she was determined to find and steal, even if she had to kill people for it. Silently running through the hallway, she watched the various paintings on the walls, the various artworks that represented the many ages of her clan’s existence, until she suddenly had to hide herself behind a pillar, standing in its shadow, as she saw two armored men standing in front of a massive wooden door with numerous elaborate carvings etched into it. The guards were obviously part of the Hebi family, which made up for the bulk of the Ouroboros clan. They were seen as the fallen; those who did not possess the genius and power of the Orochi family, but in turn were the guardians of the clan’s history and its secrets, to which only the clashed had access. Enact, Risu’s uncle however, just like all other clan heads, was however prohibited to come into the room behind the doors at which the young woman was now looking at from within the shadows. As behind those doors laid the most guarded and powerful secret of the clan itself, the scroll of the first dragon, the man who was the origin of the Ouroboros clan. Her left hand slowly went for the scalpel hidden in it’s sheath on her back, taking it out silently, without making even a single noise. Swiftly, she dashed passed the two guards, who froze up for a second, their hands grabbing at their throats, as in an instant they started bleeding from a sudden gash, which they had not noticed earlier, eventually dropping down and laying silent after a few final spasms and twitches of the legs and arms. Finally, the greatest secret and the greatest power of her clan was within her grasp, she would finally become so much more than the person who haunted her dreams, stalked her in her nightmares and ruined her life. If the so-called Snake had become a God, she would challenge him as the Dragon. Calmly, she opened the doors to the inner sanctum of the Hebi elders’ temple, gazing upon the insides of the room, only to find herself a small alter with a stone chest on top of it. The chest was scribbled over with markings, all depicting a combination of powerful seals, to prohibit and prevent people from ever opening the container of the scroll within. Gritting her teeth, she tried to simply open it by force, but when some of the markings lighted up during her attempt, she got blown back by a great, yet silent force. Again she tried, but with the same result. Sighing deeply, she tried to find out a way to break the seals or at least manage to read what was written upon the chest, but sadly she could do neither, that is, until she heard a slithering sound nearby, which prompted her to turn around and search for the origin of the sound, only to find Uranus, her own white snake to enter the room silently through the door, intently looking at the chest with his red, beady eyes. The snake calmly slithered towards the stone chest on the altar and to Risu's amazement, Ureaus started to hiss deeply, after which multiple etchings and marks started to light up and seemed to shift and reform themselves untila green glowing circle of etchings and marks appeared on the lid of the stone chest. Releasing a long hiss of trapped air and blowing away the dust on in the room, the stone chest finally opened, revealing a small leather container in which the young woman suspected the scroll to be. "What you desire is in there, mistress," The white snake exclaimed calmly, while slithering up the altar, coiling around the chest and taking out the leather container with the tip of his tail and handing it to his master, Risu. "If you so desire the power of the Dragon, read it and know what you will lose in the process. For the power comes at a painful price." With trembling fingers, the young woman opened the container, amazed that the paper of the scroll seemed fresh and new. Putting it away behind the armor she was wearing, the Orochi Lady sneaked out of the room, back through the same way she had entered the temple, not even looking at the two guards that were still laying still in front of the chamber's double doors. No doubt they would be found that morning and the entire Hebi family would be in disarray, but they would not dare to point their fingers at the Orochi's, for they will not dare to sow discord in the Ouroboros clan nor defy those they revered as the descendants of the man they revered as their god. "It's mine, it's all mine," The young woman exclaimed greedily while she entered her room at the Orochi estate through the window, knowing that her uncle was not in town, so that he wouldn't disturb her. Taking her time to open the scroll and finally read what her ancestor had written down. The Clan's greatest powers will be mine to learn and mine to control." The scroll explained the location of the Ryuchi cave, the very place Risu had been searching for all along, even with Uraeus help, she could not find the pinpoint accurate location, but now she had an actual written map to the place, the birthplace of her very clan and their power. Intently, she started reading the words written down by her forefather, not even blinking once when reading his story and his teachings. My name is Orochi Ryu, son of the Great white snake sage and the maiden of the rivers and I have come to the age of passing into the obscurity of legend. 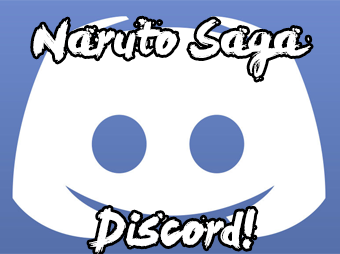 However, before I pass on to the side of the Sage of the six paths, I want to tell you, you who reads these words, my story. A story of trial and tribulation, of loss and vengeance, but above all, a story of strength and devotion. I was born in the Ryuchi cave and was granted a human form thanks to my mother: The maiden of the Rivers. My father, the Great White Snake sage granted me his endurance and his toughness in the form of my scaled skin and his eyesight in the form of my golden eyes. He and my mother blessed me with the power over water and earth, forever binding my essence and will to that of nature itself. As I was granted the power to use, change and enhance the natural energy or sage chakra by my father and mother, so my powers were always linked to nature itself. With my growth, so did my intelligence and my parents doted me, teached me the arts of literature and mathematics, the arts of calligraphy and painting. However, my mother had to return to the waters, leaving my father with his rule over the mortal aspect of his kin and as time flew by, I started craving for more than a life in the cave of wondrous snakes. So it happened, that I ventured outside of the cave and met a young woman with fair skin and black hair, who was not startled by my inhuman appearance and lead me to see the wonders outside the cave. I drank and absorbed the beauty of this endless and bountiful world like I would now drink a fine sake. Alas, when I arose from the restrictions of the cave, I did not only see the beauty of the world, but also the darkness that had swept across it, drowning the once peaceful world into a cesspit of chaos and bloodshed. Onde day, as I sat with my future wife and her parents, enjoying the fruit of what I dared to call the honest laboring work of toiling the land, the village I spend my peaceful time in, was raided by shinobi of the kind I had not seen before. With blazing fire and hellish red eyes, these creatures I dare not call men, attacked the village, destroying almost all in their wake. Failing to save my future wife's parents, I grew bitter, but was saved by the good graces of the smile in the young woman's eyes, as she thanked the gods for my survival. However, I was angered and in my rage, I snapped the neck of an assailant that dared to attack my future wife. In that moment, I realized the depths of my strength and though I promised never to lay a hand in such a way on my wife, I turned stronger every day, drinking more of nature's power and defending the remainders of the village against any and all threats, until I realized that this also meant that I had to leave the village one day as well, for my power attracted many others to fight or follow me. The times went by and I gained more and more followers, more people to teach and more people to grant the strength they needed to safeguard and protect their loved ones. However, I was misguided by the path I was following, for in the years that followed, my followers and I came upon a clan of warriors that were strong enough to face us on the battlefield. Wielding an awe inspiring power through the use of an eye called the byakugan, they defeated us quite strongly, but they lost their leader at my hand and therefore, a thruce was signed between their clan and my group of followers. Tending to eachothers wounded, these men and women called the Hyuga became friends in due time, as we sought to find a better way of living in this world. My wife bore two children, one bearing semblance to me, one bearing semblance to her. Even though they were born at the same time, I named the youngest one, bearing my traits, my heir. He was named Orochi, while I gave my other son the name Hebi. One a snake destined to become a dragon, the other forever destined to be a snake. In time, I grew older and my sons turned into fine young men, but my task was not over yet, my goal not yet achieved. After quite some time, three years after my sons' sixteenth birthday, we finally encountered the clan of mighty warriors that had dared to face me and my friends, tormenting us with their vile and cursed eyes in my youth. Their eyes, called the Sharingan, brought my hatred in the open and as I fought their leader, a man named Enaka Uchiha, I knew that deep within him, a desire loomed, a desire to control and rule everything. He did not possess the courage and wisdom of his alledged forebearer Indra, but was nothing more than darkness, a void threatening to consume the world. As I fought him, during those long, exhausting hours I realized that while I cursed his eyes, I secretly desired them, while he as well seemed to feel a similar feeling to mine. Was he the night and I the day or were we neither. I did not know the answer until many many years later. The day on wich I decided to write this short summary of my life. The day I met the man who would accept my clan and lend them his ear and heart: Senju Hashirama." For a moment, Risu looked up at the moon's light from within her room at the Orochi estate, while tears ran over her cheeks. Her forefather had cursed the eyes she loved so much, while he fought a man who bore the same name as her uncle...Enaka. However, as she watched the moon, the paper in her hands seemed to light up and she could see something, not of the future, not of the present, but of the past. A man, dressed in a white kimono, with a lavender obi, facing a man with a monstrous construct of chakra, with devilish red eyes, eyes that seemed to consume her very existence, a facial expression that betrayed not a single emotion, but pronounced the very lack thereof, an unending emptiness. She was looking at her uncle, a man who would do anything to achieve his goals. A man who would dare to challenge the rules of existence and usurp everything he desired. Though she also felt a crack in her heart, she still refused to look at her uncle as an enemy, not until she had definitive proof, not until she knew what Kyohei meant to her, not until she knew if Rippa wasn't lying and not until she had faced a single demon that had started to stare down at her at every step she made. She decided there and then, that the only way to defeat the evil that haunted her, the darkness which suffocated her, was to become an all-incinerating light, an evil twice as powerful and twice as menacing than the one that had managed to destroy her. And right in front of her, on the paper she held in her hands, there was the place, the means and the goal to achieve all this, as she would live up to the name of Orochi: the snake that would become a dragon. Gathering what she knew she would need for her journey, Risu eventually found herself standing in the garden of the Orochi estate, her eyes gazing at Uranus, her white snake companion, who eagerly had been rooting out a mole and swallowed it whole. A soft smile crept upon her face while watching her pet. Not long ago, this young snake was but a mere youngling having left its egg, but now it had grown to become one of nature's fiercest and most fearsome predators. He was truly at the pinnacle of his strength and more than strong enough to submit lesser creatures to his will, as expected from a descendant from the Great White snake sage such as him and such as herself in a way as well. The snake turned its head, swallowing the last part of the mole, before sluggishly slithering towards his mistress. As he coiled around her feet, the young yet fully grown snake yawned broadly and loudly. "You have found the scroll, I reckon," The snake hissed calmly, tryying his outmost to slither onto the young woman, despite the extra weight in his belly. "So I might surmise that it has become time for you to go and meet the One who could grant you the same power as your forefather, is it not?" The Orochi lady only nodded in silence, clasping her hands around the sluggish snake's body, wrapping him around her shoulders, making it so that he could take a nap on them while she would get the rest of her stuff and make preperations to take on the journey which would without a doubt change her life and her view upon it. "I will achieve my goal, that much is certain Uraeus," The young woman sighed, while walking back into the house, though stopping in front of a painting on which the First of the Clanheads was depicted with his two sons Orochi and Hebi. "If he was revered as a god, I will become more, if it is to defeat someone who aspire's to reach for the gods, I simply must stand above even the gods themselves and become not a snake, but a dragon. No a protector, but a destroyer." With the map in her hands, Lamya was walking through the vast forest that made up most of the land of fire's territory, certain that she'd find what she was looking for in that vast place of wood and leaves, not concerning herself about what she might do when she would find what she was looking for: the Ryuchi cave, where her Clan's origin was and where she would be able to find the Great White snake sage, who she hoped would be able to answer her questions and would provide her with the power she needed to make sure she would get what she wanted: vengeance. "So, you're adamant about finding my birthplace, mistress?" 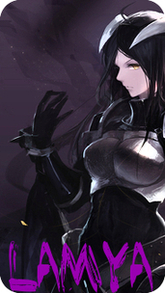 Uraeus hissed calmly, while looking at the serious expression on Risu's face, as she removed her mask. It was less annoying for the snake when she was herself again and not the protective persona of Lamya, which she, like all other ANBU, created just so she would be able to at least for a bit, cope with the darkness of her division's work. "Funny actually, you were so close last time, saving me and my mother from those eagles and providing her with sustenance to last for a few days. Since you now truly are strong enough, I see no qualm into helping you achieve that goal you so eagerly seek." The young woman simply smiled for a moment, before she sighed and took a look at the map she was holding. All around them there was nothing but the endless view of trees and bushes, with the sun hardly able to penetrate through the foilage of the oaks, ceders and willows, truly a vast forest indeed. Sighing again, the Orochi lady closed her eyes for a bit, opening them again and giving a soft smile. "You know, I have to admit that sometimes those ANBU sensory jutsu do come in handy," Risu chuckled, as she now could see and hear, feel and smell even better than the very snake hanging around her shoulders. "There's a large open space not far from here, let's go there and take some rest. We might even be able to reach the cave before sunset." Arriving at the large open space indicated by Uranus, Lamya looked with an expression of confusion and interest at the snake, which gave a hissed chuckle, as they were now standing on a perhaps three meter radius open space, with at the edge a cave that seemed to lead down into the ground. Inspecting the entrance, the young woman finally realized what it was, yet again giving her snake companion the same look as earlier. "You knew it was here, you devious snake," She laughed slightly, giving a rather pouty look at Uraeus, who yet again chuckled a bit in confirmation. "So, this is the way to the ryuchi cave. At last I will be able to get my wish granted." Uraeus, who chuckled earlier, slithered down from the young woman, deciding to travel down the same path as his mistress on his own strength, willing to support her no matter what, since after all, he owed not only his, but the life of his mother and siblings to this young woman, who was so close in becoming the very essence of an Orochi: a snake wanting to become a dragon, a snake with the potential and the power to become a dragon. "It has been quite some time since a human has entered this place, milady" Uraeus explained, while slithering next to Lamya on the narrow path. "But at the same time, it is an honour for me to be guiding you, to lead you into accepting your new name and to be reborn a dragon in time. For not only your clan or konoha needs a new dragon, but the entire world." For a moment, the young Orochi lady stopped walking, thinking about what she was going to leave behind, what she was going to throw away in order to reach for new heights of power. She realized that she was going to join the ranks of the sages, but where there were many sages, there were not many who embodied one of the Sacred animals and none of those sages actually had inherited traits from their sage-animals at birth. It was indeed time for a dragon to arise, for the real snake-sage to reappear and to cleanse the wrongs of the past, present and future. "I will change the world if I need to," The young woman said quite firmly, taking up her pace again. "For better or for worse, it WILL change." As the two of them reached the end of the tunnel, they suddenly found themselves in a massive open cave or more actual for it to be names a huge gaping hole in the ground with hundreds of hovels acting as homes for the snakes of the Ryuji cave, structured entirely like a incredible, ancient temple. The sight was breathtaking, so much even, that even Uraeus was silenced. No words left their lips, no vowls escaped their mouth, as they simply were captivated by the sheer prowess of the temple housing all of the sacred senjutsu snakes, with at its center the home of the legendary Great White snake sage. Humbled by the cave's appearance, as it was in fact the birthplace and origin of not only her own clan, but also of all the snakes that dwelled the earth, a home for all those who bear their coldblooded veins and sharp tongues. Indeed, the blood and heritage of the Snake that rose to become a dragon was running through her veins, the spirit of the man who had become the first leader of the Ouroboros clan guided her to this path and the Ultimate power he possessed beckoned her, for the dangers of the near future could not be faced with her current state. She was forced, destined to move ahead and would not tolerate any opposition, not from her friends...if she had any left, not from Kyohei and certainly not from her own Hokage. Konoha in her eyes, had become a lost cause, for it's power layed in the hands of others than the ones who were ought to lead the village and that was absolutely not acceptable. Eventually, after finally reaching the center of the temple, having passed through a double row of beautifully etched marble pillars and granite reliefs at every wall, the young woman known as Orochi Risu found herself standing in front of a humongous, white snake with a black, Edo-period magistrate's cap on his head and a scepter firmly held within its coiled tail, resting upon a bowl-like throne. Her golden eyes flared up and peared straight into the eyes of the Sage. "I am here to claim what is rightfully mine...the power of the Dragon!!" The massive white snake with the edo-period hat looked down towards the tiny human and her pet in front of his throne, glaring at the substantially smaller white snake who seemed to be the human's representative in this matter. His beady red eyes glanced towards the human, only to feel a shock rummage through his entire snakely body, for he recognized the young woman's appearance. Thrice in his long life had the Great White Snake sage seen such an appearance: His own son, the genius Orochimaru and that man's apprentice Kabuto. However, it was the first time that he had seen a woman of his son's clan reach to him and claim the very power he had granted to his own blood. "I see you have a representative," The hissing, loud and deep voice of the Great snake sage boomed through the large chamber, with many of the other snakes tilting or raising their heads to take a better look at the situation. "One of my own has been accompanying you to this place, so I will listen to the demands you make, young one. However, if it is power which you seek, I warn you, that every power, no matter how great or small, has an equal cost." Lamya's eyes were locked straight into those of the great white snake sage, a cold, relentless storm welling up within those magnificent golden eyes of her, forcing the massive snake to feel a shiver straight up his spine. What he was looking at, was a young woman with a goal and the determination to reach said goal. "For centuries, none have entered this place from the shinobi world," The Orochi lady started her reply to the sage's initial warning. Her voice booming through the chamber with an equal harshness to the voice of the sage himself. "I come here to claim, nay demand the power of my ancestors, to know my birthright and the power to set right what has become wrong, to cleanse what has become impure. One way or another, I will have what I want, no matter the cost, oh Great White Snake Sage." Never before had the snake sage seen such determination, such authority in words except for in his own son. She was truly his blood and furthermore, she was apparently strong enough to be trained in all of the snake's sacred and secret teachings. "Very well, young one," The snake replied rather calm, slithering own his throne, shifting the weight of his massive body towards Lamya. "Are you prepared to be granted this power that you seek at any possible cost, than I have no more to ask. We shall begin in the morrow." Having stayed in a chamber, curling up in makeshift blankets of surprisingly smooth and soft shedded snakeskin, Risu awoke the day after her arrival at the Ryuchi cave, freshened in both spirit and body by a fair good night's sleep. As she got her clothes on, she was greeted firstly by her loyal companion Uranus, who slithered into the chamber and coiled himself next to her feet while she tried to pull her hair into some semblance of decency and shape. He lifted his head, hissing, but not talking, his beady red eyes not even giving the young woman any idea what to expect. As she walked towards an open space, lead by Uraeus and a few other snakes, Risu found herself surrounded by snakes in many shapes, forms and colors. All different from one another, but at the same time linked by their ancestral race: the snake. "Come, come young one," The massive white snake at the center of the colorful, yet imposing gathering hissed rather gently. "As you wished for not the mere power of becoming known to our kin or our senjutsu, but demanded the knowledge and power of your ancestors at any cost, your training will be much different from what has been the standard. Prepare yourself young one, for when this training is over, you will have been born anew for seven times and for seven times you will have died." Confused by what the Great white snake sage was saying, yet at the same time obsessed by the very notion of power, the promise of knowing all there was to know and all there was to learn, the young Orochi lady simply nodded solemnly. This was what she wanted. For too long had she been the victim of manipulation and schemes, treachery and falsehood around her. She was sick of it, sick of the shackles put around her and was desperate to be freed from her bonds and boundaries. "Very well," The massive snake hissed, while lumbering closer to the young woman, with suddenly the entire group of more than a hundred snakes, slithering closer and closer to the young woman in a rather threatening fashion. A gulping sound came from Risu, before she became smothered and buried by the snakes slithering over her, biting her, striking her with teeth and venom, ignoring her screams as she descended into the mad delirium brought to her by the mixing of the poisonous venoms. "Cleanse yourself from your fears, from every vision which haunts you, for only when you do this, will you be ready for the next step." Time seemed to pass by slower than ever, her eyelids grew heavy, her voice croaked and died out in the nothingness, the void which seemed to creep around her, surround and swallow her. It was in this darkness, that Risu heard a whisper, a gentle and familiar whisper. Suddenly a shrill whistle seemed to sound, when in a variety of colors snakes seemed to dance around her, curling, twisting and coiling themselves in an almost hypnotizing manner. Looking at it, the young woman couldn't help but start to chuckle slightly, until she suddenly seemed to fall back into the darkness, grabbed and spun around by dozens of hands, belonging to dozens of masked people, with frivolous and almost hilarious, smile-depicting masks. The danced and laughed, seemingly partying in the endlesness of time and the emptiness of the void and unbeknownst to herself, the young Orochi lady began to dance and laugh as well, her feet moving about beyond her own control, the muscles in her cheeks straining as she laughed louder and louder, madder and madder, as if insanity had taken a hold over her heart and head. Within the corners of her eyes, she saw her own reflection, her own reflection in a hall of mirrors, but not a single reflection coming from those masked companions who were merily dancing and laughing with her and as she begun to finally realize the diabolical and maniacal insanity of the situation, the dancing stopped, the laughter silenced and the men and women wearing masks started to surround her, almost smother her, coming close enough for Risu to realize the reality of her delirium, as she looked into the dead eyes hidden behind the masks. It seemed that when Risu finally understood her purpose in that delirium, remembering what the Great White Snake sage had said about facing her fears and eliminating them, the dancing of the masked men and women stopped instantly. In silence they gathered around her, who had now finally changed back into the clothes she knew she wore before entering that hazy, dreamlike state. Slowly the masked men and women reached out towards her, with bony and decaying fingers, pulling her shirt, her pants, wailing and moaning while doing so. Confused and scared, Risu slapped away the first hand which dared to touch her, only realizing she knew that hand, as she saw the small cut between the thumb and index finger, which she remembered her own sensei to have when she was still a mere genin. Screaming loudly, she ripped the mask of that man's face, with her heart pulsating loudly when she recognized the dead and dull face behind the mask. With that in mind, she started ripping off the masks of all the men and women around her, with each and everyone being someone she had lost over her relatively short life: her parents, her first teammates, her first sensei, but also people who she did not recognize immediately, people she hd killed herself: the prisoners in Takigakure, the people in the hive which she had released by killing them, the three Black ANBU members from that cell in takigakure. But the nightmarish delirium did not end there, for as she had unmasked all of them, a loud, ear piercing cackle filled the void, with all the unmasked men and women merging into one massive masked being, who roared loudly, while revealing himself as her uncle Enaka when taking its mask off. Afraid, trembling from head to toe, the young Orochi lady started to run away, further and further into the darkness and emptiness of the void, but the image and the loud voice of her uncle did not let her go as easily as she had hoped. "Weak, so pathetically weak," the voice snarled loudly. "All you have done so far is wallow in your own selfpity...shamefully weak." Nodding her head, trying to block out the painful words or rather the painful truth spoken to her, the young woman continued running, sometimes stumbling over her feet, but still trying to escape. "You couldn't save your team, you couldn't save your sensei," The known voice of her uncle continued. His menacing tone becoming increasingly volatile. "No matter what you do, no matter how hard you pray to whichever god you pray, you will only fail in saving people. You only succeed in making things worse, in losing more people or creating losses for others. You are weak...just like your parents, just like...Kyohei." Suddenly, she found herself standing in the rain, the voice seemingly gone, as she realized she was standing on Konoha's main street, deep in the night. A grunt caught her attention, a bloody thump following suite made her look into the direction of the sound. However, as she looked, she only saw something horrible: the one she loved, the one she cared for now, Kyohei, to be beaten and cut open by a mask wearing, Black armored stranger. She wanted to scream, wanted to call for help, but she could not speak, nor move a single inch and as the beating became worse, with the Uchiha finally falling lifeless in front of her, the masked person revealed itself to be Risu herself, with a sickening and twisted look in her eyes. Broken by this image, Risu screamed loudly, as everything faded away into the nothingness again and she heard a deep, rumbling voice in the back of her head: "Fight your fears, eliminate the origin of your pain and you will be freed from all your guilt and despair." When the image of Enaka returned, Risu seemed to have found new courage, running towards the image as fast as she could, with violet chakra forming around her hands, cutting through the man's throat like a knife through butter. With a gurgle and a smile the image, as well as the dark void vanished and Risu woke up, sweating on a blanket in a dark humid room, with a hissing, white snake resting next to her. "Uraeus...where...where am I?" She tried to ask with a hampering voice. "Hush now, Milady...you have passed the first part of your training, it is best you rest now." Hearing those comforting words, the young woman fell back into a deep and this time comfortable slumber, not thinking about what the next training might be or could do to her. Having rested in the chamber prepared especially for her, Risu made her way back to the main chamber inside the Ryuchi cave, surprised that despite the amount of poison that had been injected into her, she felt so much better than she had done in the past few weeks or even months. It was as if she had lost an immense burden, but she did not know what had been her price for such a crude way of getting over her fear and guilt, in a way she knew it should've frightened her, but even so, she could not express that fear, as she decided it was not worth mentioning. The price could've been something so small she wouldn't notice it after all, or so she thought. "I see you have slept well, Princess of the Ouroboros clan," The massive white snake sage's voice rumbled through the large chamber, his words calm and kind and completely out of character for such an impressive looking beast. "As agreed, I will make sure you will stand above all those who would oppose you and grant you the power of your ancestor...my son." For a moment, Risu felt quite elated by the large snake's remark, but when she noticed the rather distraught look in Uraeus eyes, she began to understand that the massive snake was up to something, something very unlike him and most likely something which Risu wouldn't want to do. However, she was still prepared for anything he'd throw at her, as it did not matter what she had to do, what she had to pay to get her hands on a power far beyond her current stage. Everything was necessary for the sake of obtaining power beyond the grasp of any mortal being. "Very well," The massive snake continued, while Uraeus slithered towards a group of snakes which had gathered at the outer walls of the chamber, seemingly marking some kind of territory or a ring. The sage simply chuckled, while giving a soft grunt after which a blue snake with a white strike over its body slithered to a point opposite of Risu's with both of them being seperated by a distance of roughly ten meters. "For this power to be accessed, we'll need to see your determination to throw away everything that makes you. You will have to throw away your very essence to grasp the power you desire so greatly. To be reborn, one must cast its shedded skin aside." The blue snake with the white stripe hissed suddenly, with a cloud of smoke appearing around it, after which the figure of a man clad in a Konoha shinobi attire stepped out of it, a man she remembered all to well: the streamwalker, Hamada-sensei. With a blade of lightning and a blade of wind wielded in both hands, a fake smile on his face and his long silver hair being bound by his forehead protector, there was no mistaking it, this was the man who had thought her the basics of being a shinobi and who had died foolishly while trying to protect his squad of genin. "It's been awhile, Risu-Chan." Risu's eyes seemed to turn into glass, thought wet with tears welling up, yet not rolling down her cheeks, the young woman was forced to look upon the face of the man who had once been her teacher and guidance through the rules of the shinobi world. Hamada-sensei was the former squadleader of team five, Risu's team and the team which eventually fell at the hands of those who dared call themselves the Black ANBU. Behind the tears, another sensation seemed to well up, a bruning flame seemed to enlarge deep within the young woman's heart, but yet while it burned with rage, it had not the fierce heat which normally accompanies such rage, as it was a cold and void flame, one which snuffed out all her guilt, her fear and her compassion. Slowly, yet certainly, the snakes at the very edges of the massive central chamber, could see Risu's chakra, feel it and even taste it. Her chakra was cold, deaf to pleads of mercy and hungry for bloodshed, it had been twisted and manipulated by some, used for their cause and denounced by them, but now she herself was in complete control of herself and her actions. "Illusions to toy with my mind, refractions of my guilt and conscience to bend my will," The Orochi lady hissed deeply. "No more lies, no more secrets. If I am asked to put you down, I shall do so. For every lie and every illusion you throw at me, will end in shambles, like shattered mirror will you end up reflecting only me, only the person worthy of becoming a dragon." The image of the shinobi rushed towards her, seemingly lashing out with his blades, yet before the blade of wind and the blade of lightning could even touch the young woman's neck, her hand had already pierced through the man's chest, ending the illusion in smoke. "Peace has been brought to he who has been murdered by injustice. Who's next on the list of those I must face to unleash this power promised to me?"